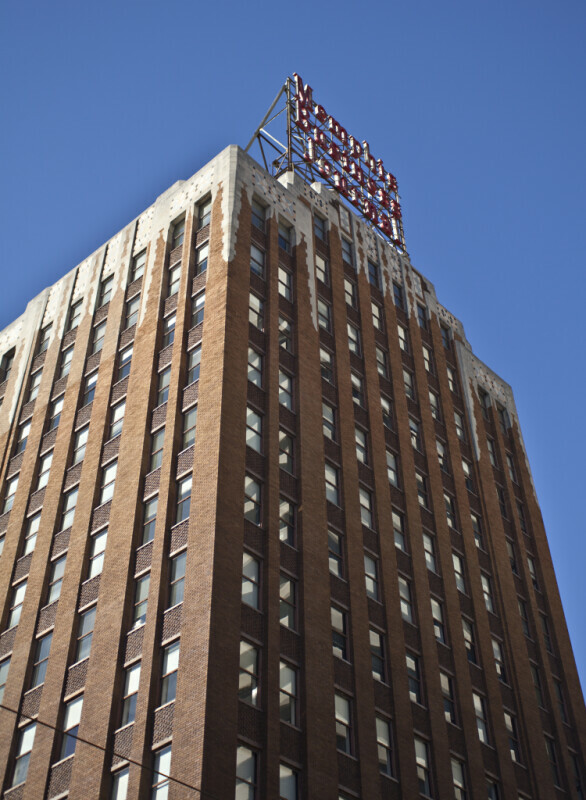 This is the 14-story Memphis Business Journal Building. The art-deco building was constructed, in 1927, as the Farnsworth Building. The architects were Edward Lee Harrison, and William Nowland Van Powell. The steel and concrete building is faced with brick, with irregular brick spandrel panels between the windows. There are decorative spandrel panels at the roof, and “icicle” quoins.